While the ratio of working males in India is higher in comparison to women, yet, a recent report indicates that when it comes to taking a loan, women borrowers have outpaced men in 2018, in terms of the size of borrowing. The higher loan amount when a woman applies could indicate it’s a household with two incomes, unlike when a male applies, where he could be the only breadwinner. Banks also have special loan offers for women, with interest rates many basis points (100bps = 1 percentage point) lower than for men. A study by credit bureau TransUnion CIBIL shows that India has witnessed a 48% growth in successful credit applications among women borrowers between 2015 and 2018. In comparison, the growth among male borrowers is slower at 35%. The data also reveals that 8.6 million new –to-credit women borrowers are opening new loan accounts per year and 66% of these women are from five states: Tamil Nadu, Kerala, Andhra Pradesh, Maharashtra and Karnataka. Transunion Cibil expects further growth in credit demand by women borrowers in future based on multiple factors such as rise in education of women, increasing consumption of consumer durables in tier I and tier II markets and an increase in the number of working women. When it came to car-buying patterns, the data shows that when a woman is the primary loan applicant, they tend to steer away from big-ticket car purchases. Male borrowers borrowed up to Rs 49.9 lakh for a car, whereas the highest female car loan ticket size was Rs 12.9 lakh. But in terms of the average car loan size taken by women, it’s significantly higher (Rs 5.5 lakh) than when men are the sole applicants (Rs 5.3 lakh). In Bengaluru too, women lead with a margin of about a lakh and the ticket size stands at Rs 37.85 lakh. In Delhi, the average home loan size by men stands at Rs 24.48 lakh while that of women is Rs 27.98 lakh. In Chennai, it stands at Rs 30.10 lakh in the case of men as against Rs 34.79 lakh for women. In Kolkata, the difference is about Rs 15.86 lakh with the average ticket size by women at Rs 37.84 lakh.It is easier to see this in the context that wherever women are borrowers, it is usually a double-income household and hence the ticket-size is higher as against where men are primary applicants, there is a higher chance of these being a single-income household and hence the ticket size is comparatively lower. This trend of women boosting the household’s purchasing capacity could be seen across metros. The average ticket size of home loans in Delhi for women borrowers was Rs 28 lakh, compared to male borrowers at Rs 24.5 lakh. In Bengaluru, women borrowed Rs 37.9 lakh — higher than men at Rs 36.9 lakh, and in Chennai women borrowed Rs 34.8 lakh compared to men at Rs 30.1 lakh. 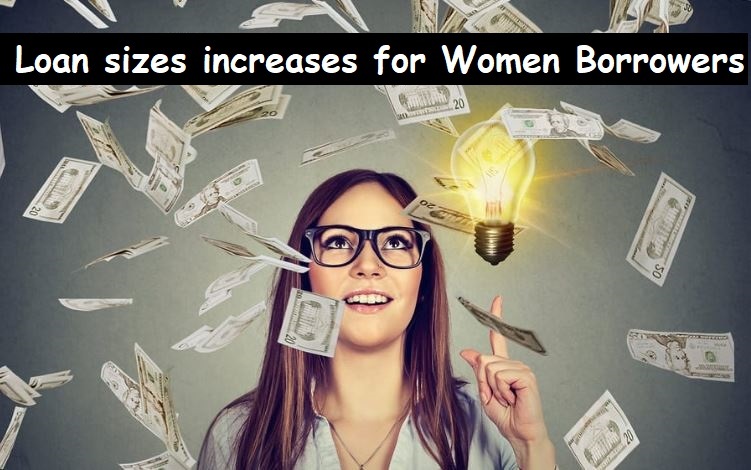 However, the situation was the opposite in Mumbai, where men borrowed more in home loans at an average of Rs 32.8 lakh compared to women at Rs 29.7 lakh.